I keep hearing second hand reports of snow droughts in the Alps??? I should have run my camcorder during the journey I made yesterday from the Kitzsteinhorn Glacier, to Zell am See, onto Leogang and through the Ski Welt. The current snow conditions are really excellent with the biggest snow storm I have seen this winter falling over the last few days. Wednesday was spent in Saalbach-Hinterglemm with dark skies and snow – really atmospheric and tons of new snow. The following day I was in Zell am See with similar conditions and yesterday it was the Kitzsteinhorn Glacier where conditions would have to be described as almost perfect. All the snow that I had in Saalbach-Hinterglemm and Zell am See I actually saw on the Kitzsteinhorn Glacier under blue skis and strong sun. The views were also something to behold – amazing misty clouds clinging to the peaks of distant mountain ranges. Yesterday was very much a day for photography – you couldn’t really fail to get some great shots. The Kitzsteinhorn Glacier seems to promote more off-piste and freeride skiing then many other glacier skiing areas. 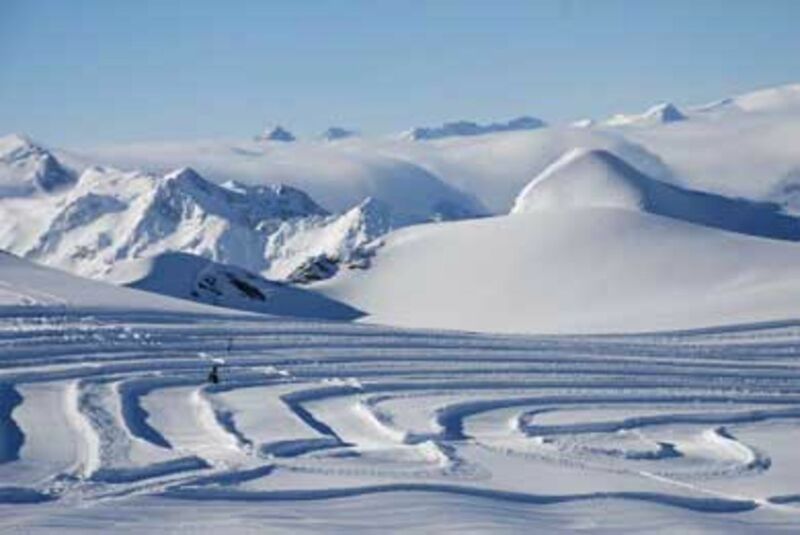 There are several off-piste ski routes that are marked and whilst they are not prepared they all have a good degree of avalanche and terrain information with updated information on the current conditions bring offered at the freeride centre on the Kitzsteinhorn Glacier. The Kitzsteinhorn Glacier will be hosting the Austria national freeride championships in February and I am seriously thinking of heading back for that event!